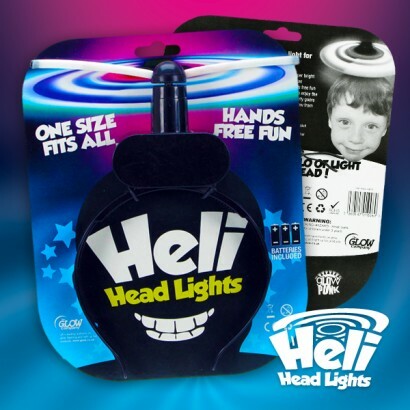 Exclusive to Glowsticks.co.uk and The Glow Company, Heli Head Lights have two spinning arms stuffed with super bright red and blue LED lights that light up and spin to create a stunning halo of light that appears to hover above your head! 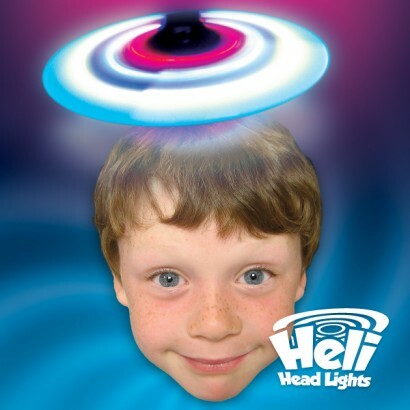 Brilliant for parties and events or even as a stage prop, this original spinning head wear leaves your hands free to party and crowns you with a mesmerising circle of light! This really does look fantastic in the dark! 3 x AAA batteries included!